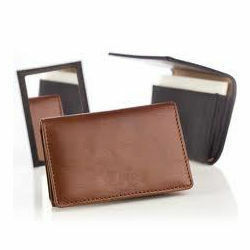 Our range of Leather Card Case is one of the most demanded items of our gamut. These Leather Card Case are in line with the latest trends and are appreciated in the market for their durability and strength. 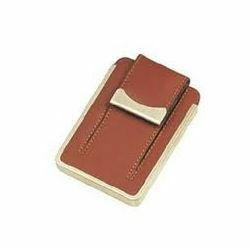 Our Leather Card Holder are made to delight all users who enjoy the feel and look of high quality leather products. Various styles, shapes and colors tones are available so that it is possible for all advertisers to find the Genuine Leather Card Holder to harmonize with all in house advertising needs. Looking for Leather Card Case ?